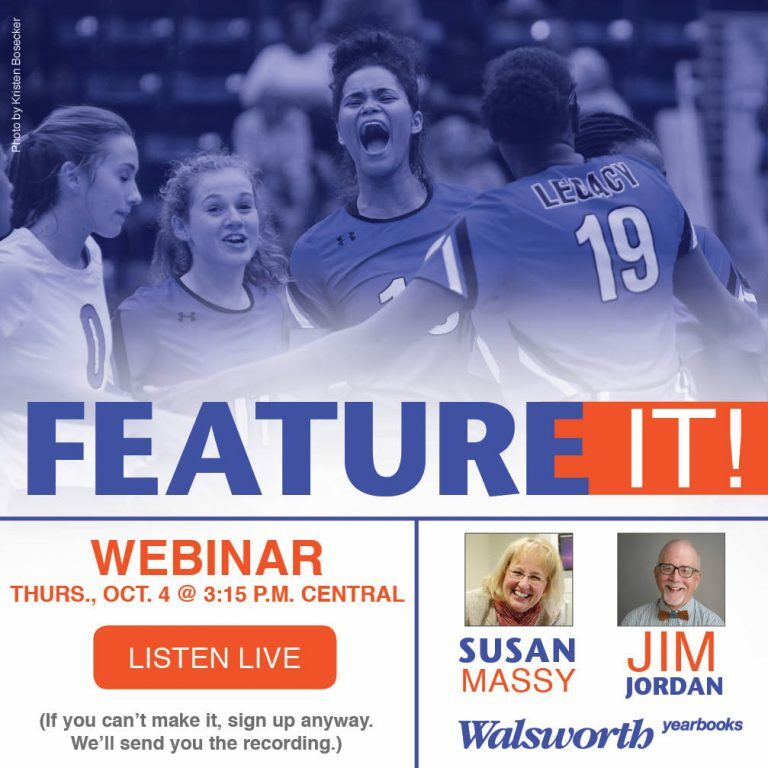 Walsworth’s Jim Jordan and Susan Massy, yearbook adviser at Shawnee Mission Northwest High School in Shawnee, Kansas, held the second of two live National Yearbook Week webinars on Thursday. Their session, Feature It!, was focused on in-depth yearbook storytelling and feature writing. What is the best way to tell a yearbook story? The options for staffs can be overwhelming. Although there are many choices, from Q&As to infographics, the long-form feature story is still one of the very best. Some stories must be told in depth and in detail. The informative session is well worth it for any yearbook staff looking to improve their feature writing capabilities. A recording of the session is now available for viewing here.